As one of the nation’s oldest resident theatres, the Alley Theatre has enriched the lives of Houstonians for seven decades and has notably impacted the cultural life of our city. To help sustain the success of the Alley, a planned or deferred gift is a meaningful way to leave a legacy of support to an organization that has played an important role in your life. You don’t need to be wealthy to make a planned gift. With thoughtful planning, you have the opportunity to make a significant gift that will benefit the future of the Alley and support both your personal and philanthropic objectives. A planned gift is an investment in the Alley Theatre for the benefit of future generations. Your gift will be added to the Alley Theatre’s endowment as permanent capital for the theatre, thus helping to secure the Alley’s long-term financial health and its continued artistic prestige. In addition, you have the option to designate your planned gift for a particular program or category of theatrical works that have special significance for you. The Alley has established nine endowed funds which range from the creation of new work, production of classical theatre, production of American classics, production of musical theatre, technological development and education funds. The list of the nine funds and a brief description of each are available upon request. For more information on this type of charitable giving and how it might benefit you, your loved ones, and the Alley Theatre, please contact Mary Kay Wittrock, Director of Planned Giving, at marykayw@alleytheatre.org or 713.315.3378. 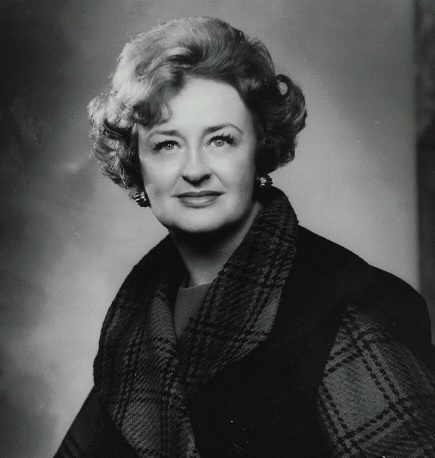 The Nina Vance Legacy Society is named in honor of the Alley's founder, Nina Vance, who is considered a pioneer in the American regional theatre movement. Today, the Alley is not only one of the oldest professional resident theatre companies in the nation, but also one of the five largest and most prestigious. We applaud Ms. Vance's vision as well as the foresight of our Legacy Society members who value the Alley and want to secure this vision for future generations. If you would like free copies of the following Planned Giving Resources, please fill out the form below. 1. Personal Affairs Record: a 24-page booklet in which you can record in one handy reference all the important legal and financial information needed by you and your family. Checklists include the location of your will and safe deposit box, personal assets and debts, names of personal advisors, insurance policies, retirement benefits, etc. 2. Planning Under the New Tax Rules: an informational booklet with more details on the recent tax legislation that was passed in December 2017. 3. Maximize Your IRA: a publication that describes the various types of IRAs and the many planning possibilities available to IRA participants. 4. Estate Planning for Women: a comprehensive guide for today's woman facing tomorrow's problems and opportunities. Your captcha input was not accepted. Please try again. Please provide all required fields highlighted in red. Phone number must be ten digits long. This information is not intended as legal or financial advice. The Alley Theatre strongly suggests that you consult your own legal, tax, or financial advisor as to the applicability of any item to your own situation.